AirLine Cycles is the classic small town America bike shop, where cutting edge technology meets old school community. 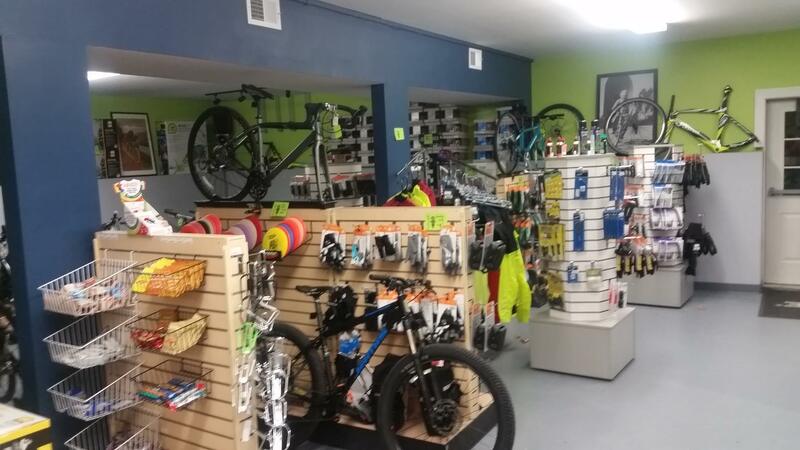 Whether you are looking for the latest in Di2 electronic shifting or clutch derailleurs for better chain retention, or searching high and low for a retro shifter to complete your vintage mountain bike restoration, AirLine Cycles has the expertise you are looking for! Do you still riding that old steel mountain bike from the 80’s? Awesome, bring it by, I want to see it! You ride in cargo shorts and hiking boots instead of full body spandex? No problem, we do too sometimes. Don’t know a derailleur from a cassette? We’ll educate you on the basics and help you make informed decisions. Chances are we don’t know much about your line of work, so don’t feel out of place. …but zero attitude doesn’t mean we don’t understand racing and elite athletes. The owner has been part of the Stage 1 Cycling Club for over 25 years, and now sponsors the Stage 1/AirLine Cycles/Fat Orange Cat racing team. Furthermore, the AirLine Cycles family includes cyclocross racers competing at the national level, an ultramarathon runner, and an XTerra Off-Road Triathlon World Champion. Classic comfortable bike rentals to explore the nearby historic Airline Trail. We will provide the bike water and helmet so you can cruise in comfort and take in the fall foliage. 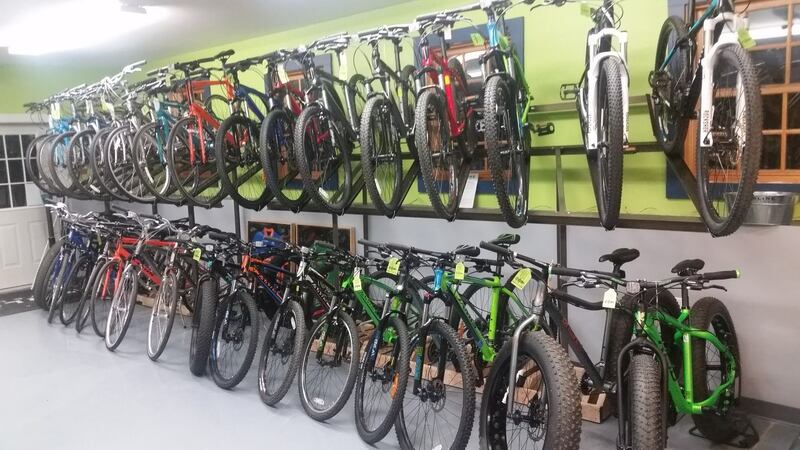 Try out a new fat tire bike, full suspension mountain bike, a hybrid or a road bike. You’ll be surprised at how much fun these new bikes can be!